Heavy investments needed in on-farm and off-farm infrastructure along agriculture value chain. 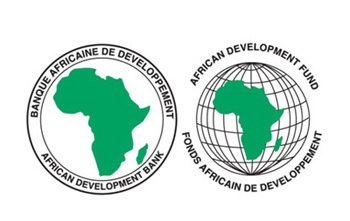 The African Development Bank Group’s commemoration of the Africa Year of Agriculture and Food Security, on September 29, 2014 in Abidjan held its promises. The meeting comes at a time when the continent is fast becoming an investor destination of choice and agriculture is at the centre of conversations about ensuring that prosperity experienced in an increasing number of African countries becomes inclusive. The discussions focused on how the continent could sustainably fast-track its transformation through increased investments in the agricultural sector, through intra-regional trade and price stability, to ensure improvements in food security and shared prosperity in Africa. The panelists agreed that infrastructure that is supportive of agriculture is weak in Africa, stressing that heavy investments are needed in both on-farm and off-farm infrastructure along the agriculture value chain. The meeting noted that women farmers in Africa play an extremely important role and should be given priority. It also noted the huge agriculture financing gap and the impact of climate change pose on regional agriculture. Panelists contended that the financing gap can only be met through strategic public-private partnerships. The key recommendations included the need to practice agriculture differently and innovatively and to engage in agriculture as a business and not only as a means to reduce poverty. This implies taking strong commitments to improve environmental impacts and protecting natural resources. Other proposals included engaging in agriculture through an integrated value chain approach and the need to take measures to fight the effects of climate change. Concerning youth unemployment in the area of agriculture, the meeting expressed the need for the sector to be made more attractive for youth to participate. This is in line with the Bank’s continued efforts to address these challenges, and in solidarity with the African Union’s declaration of 2014 as the Africa Year of Agriculture and Food Security. The event aims to deepen awareness of the need to promote agriculture as the long-term vehicle for driving inclusive growth and sustainable development; and to enhance the visibility of and to bolster the commitment to agriculture and food and nutrition security. The meeting was opened by Operations Vice-President Aly Abou-Sabaa, who also launched the flagship publication entitled “GM Agricultural Technologies for Africa”. Professor Wiseman L. Nkuhlu, Chancellor at the University of Pretoria, South Africa, delivered the keynote address on the theme “Agriculture: The Green Gold of Africa”. While recognizing efforts made to improve lives in the continent, Professor Nkuhlu affirmed that poverty and chronic hunger had reached crisis proportions and had to be alleviated, with 300 million Africans living on less than US $1 a day and 200 million chronically hungry. “Malaria and HIV/AIDS pandemics that were killing millions of Africans a year has to be tackled with an increased sense of urgency,” Nkuhlu added. For her part, the Bank’s Special Envoy on Gender, Geraldine Fraser-Moleketi, stressed the urgent need to secure food in quantity and quality to African families, especially to women. “The African woman plays a prominent role. She procures water and prepares food, but is still hungry,” Fraser-Moleketi said. The meeting was attended by experts, civil society representatives and the media.